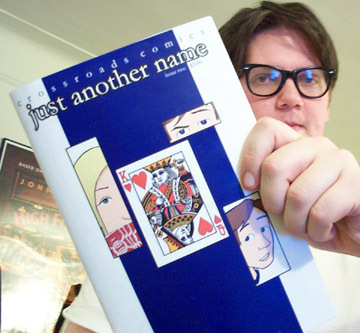 Joe just received, in the mail, his very own copy of Just Another Name #2, the follow up to one of the best indy comics we've ever come across, Just Another Name #1. It's by Kevin Gleason over at Crossroads comics. We all met 2 years ago at Wizard World Chicago and Just Another Name #1 blew us away. Joe says, "There's no other indy writer out there writing a better relationship book. Kevin digs in and connects with something that we all can relate to. That we can all understand." Issue 2 is a fantastic follow up. Funny, sweet, and even educational. Head over to Crossroads and check out the preview. 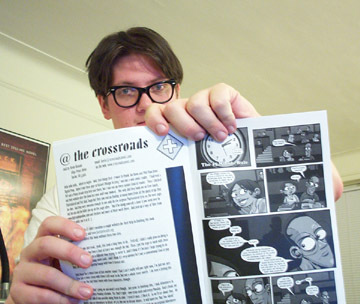 Then do yourself a favor and lay down 6 bucks for two fine fine comics. You'll be getting great books at great prices and supporting a true comic great in his darkest hour. You see, Kevin's a Packers fan and they just got their asses whooped. He's been weeping uncontrollably ever since. 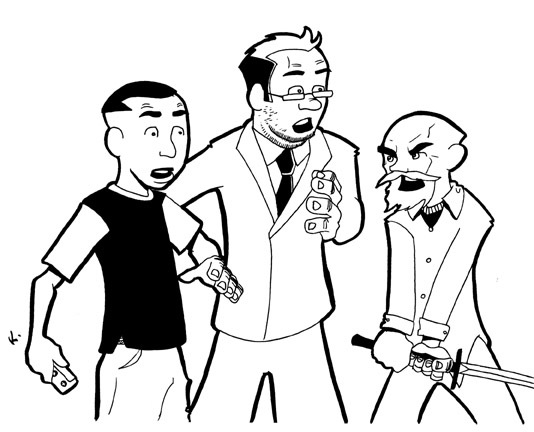 Kevin was also cool enough to include a super cool sketch of the Free Lunch gang. Joe says, "It's so great to see other artists interpretations of your characters. Free Lunch is lucky to have a fan and a friend like Kevin. I'm getting it framed next week and it will hang over my desk forever more."